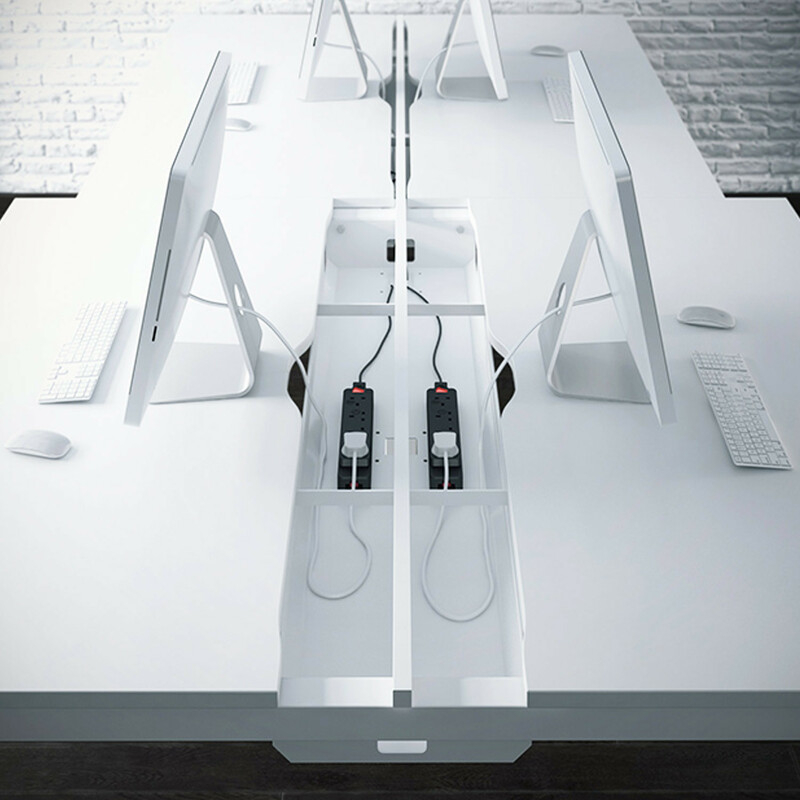 Relay Plus Bench Desking is the latest in modern office connectivity, providing desk solutions for open plan agile working environments. 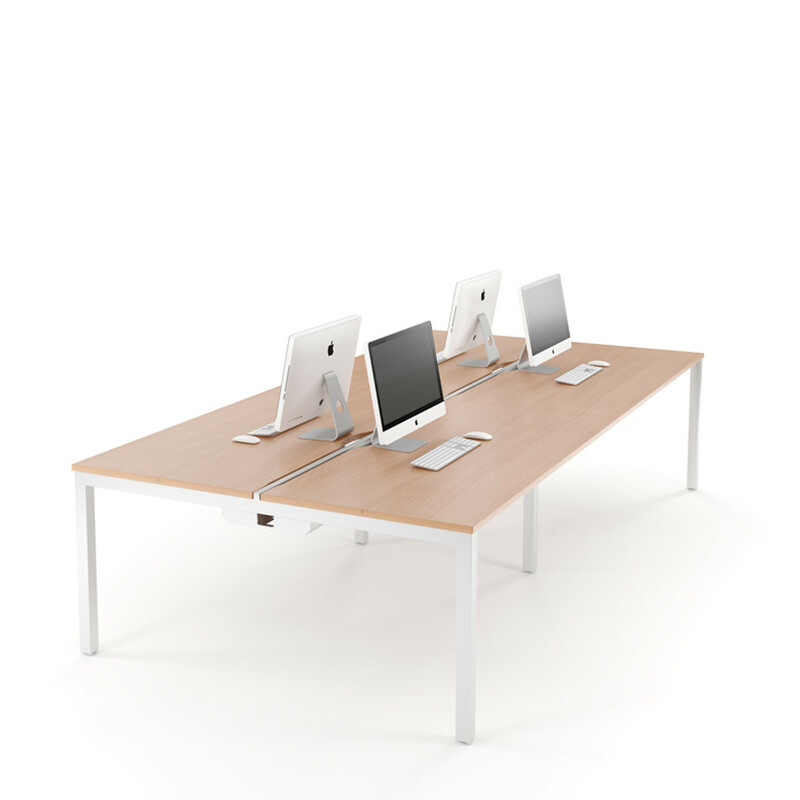 Relay Plus bench desks are designed with the modern office in mind, offering sliding tops for easy cable management. Facilities and IT will find that getting access to or hiding wires, connections and sockets are easy. 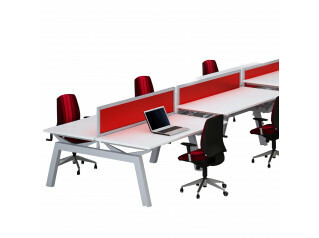 Relay Plus offers unique office features on a versatile and functional bench desking system. 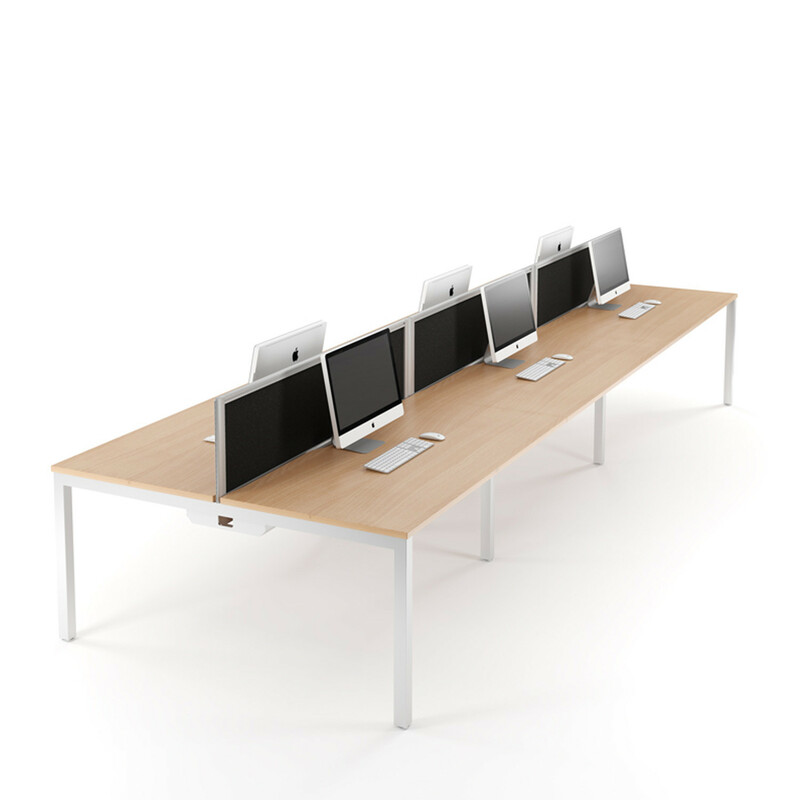 Simple clean lines disguise a robust sub frame which offers flexible seating arrangements on a simple and cost effective platform. 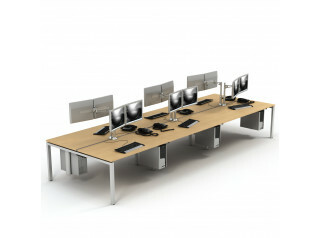 Relay Plus Bench Desking system can be specified to the level of sophistication required within your organisation. 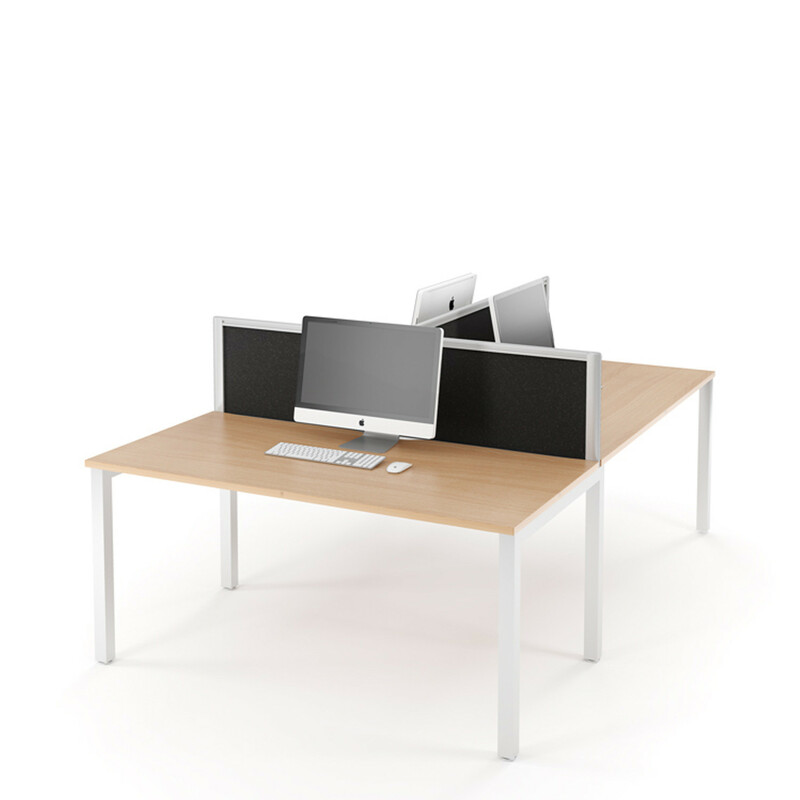 It simply adapts to your working styles, available budget and grows with your organisation. View more furniture from Tangent. 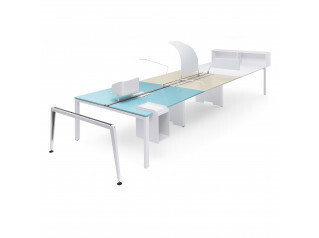 You are requesting a price for the "Relay Plus Bench Desking"
To create a new project and add "Relay Plus Bench Desking" to it please click the button below. 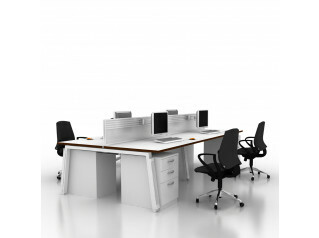 To add "Relay Plus Bench Desking" to an existing project please select below.